Today we propose you a classical recipe that really can’t miss in your weekly menu: the ratatouille with Balsamic Vinegar! We suggest you to bring this dish to your dinner table for a meatless day! First of all, chop the garlic and the onions and fry them in oil. Then add the tomatoes previously cut into small pieces and cook for 10 minutes. At this point add the bay leaves, the thyme and the oregano. Then add the friggitelli cleaned and cut into strips and cook until they start to get tender. Now, place the mixture on the bottom of a pan. At this point, cut all the vegetables into rounds and place them in the spiral oven dish, overlapping them a little. Then, season them with extra-virgin olive oil, salt and thyme. After that, bake the vegetables for 2 hours at 130 °, covered with an aluminum foil. After 2 hours raise the temperature to 180 degrees for another hour (about fifty minutes may be sufficient). When the cooking time is over, remove the ratatouille from the oven and season it with a mix of oil, Traditional Balsamic Vinegar of Modena D.O.P. and the base that you kept aside. Serve when it is still lukewarm! The success of this dish is guaranteed! Enjoy the meal! 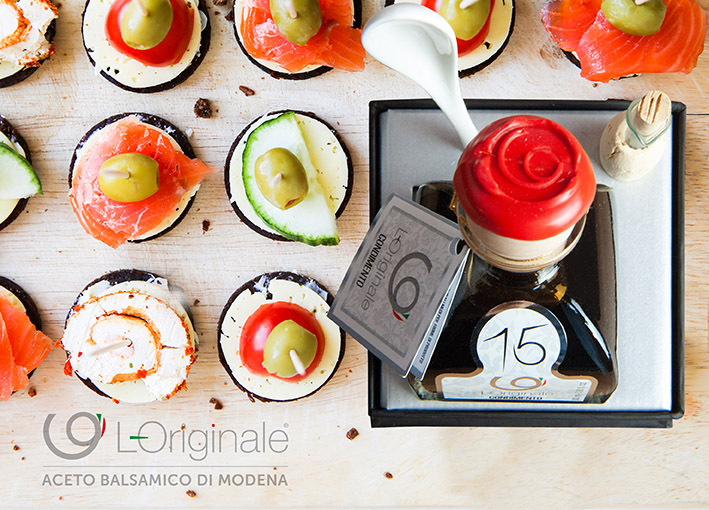 Check our Blog of other tasty recipes where you can use Balsamic Vinegar!